Beginning January 6th, we will take a six week break from our series on 2 Corinthians. 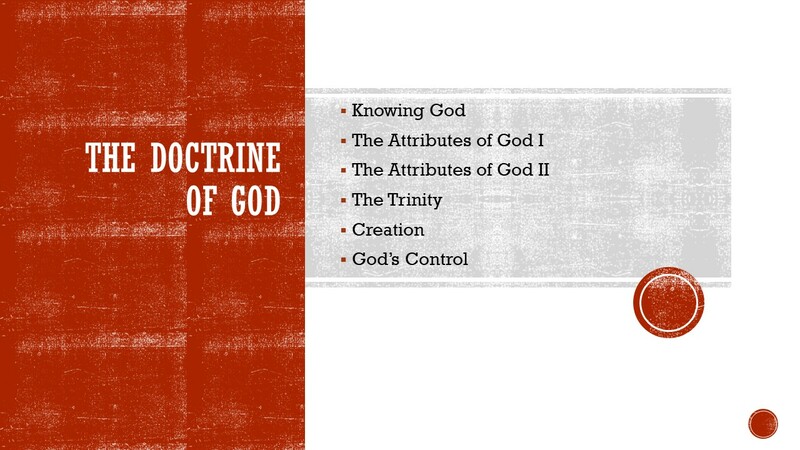 For six weeks we will be learning what the Bible says about the Doctrine of God. Join us at 11 AM each Sunday or download the series as it is made available. Topics are listed on the banner at the top of this page.